WHAT IS MS? – welcome! 1. MS stands for Multiple Sclerosis. Relapsing-Remitting [I have this one] This is also the most common with around 85% of people with MS being diagnosed with this type. 7. Medical Management: MS has no cure. [YET] although there are many options for managing it with and without medication. I take tablet daily now to manage the condition which is working well for me. I used to use an injectable medication three times a week. Nutrition – I follow a lifestyle made up of anti-inflammatory foods, Omega-3 rich and plenty of vegetables 80% of the time and then 20% I enjoy the foods I love! Staying cool during hot weather. This is so important through the summer. 9. MS isn’t always visible. 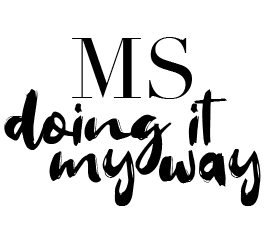 For the past few years my MS has been 90% invisible. You probably won’t notice anything is bothering me and if you do it will often come across as I’m just tired. The specific symptoms which are experienced depend on where the Immune System decides to attack along the nerve covering [myelin]. 10. MINDSET is everything. It’s important to work in conversation with your body, your mind included. MY life is lead primarily by passion and happiness from within. That then has a knock on effect in my approach to MS.